The public meeting began with a short documentary on Jyoti Basu. 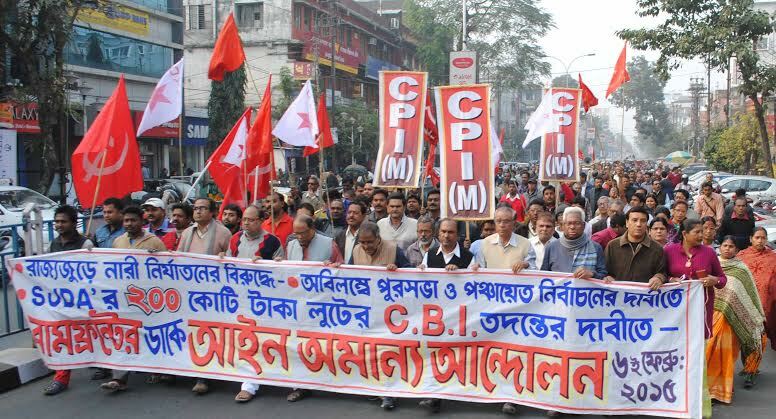 The meeting, presided by veteran Forward Block leader and Chairman of the centenary committee Ashok Ghosh, witnessed the presence of people from all sections of life and leaders of various left organizations. 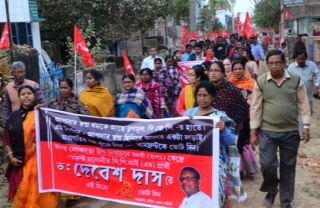 Biman Basu, addressing the meeting highlighted the sacrifice of Jyoti Basu in his early life when he travelled to all parts of Bengal to develop the trade union. Biman Basu said, Jyoti Basu left personal happiness and luxurious life to serve the toiling people. Biman Basu also deliberated how Jyoti Basu fought ceaselessly to defend democracy. His thoughts and ideas on the struggle for democracy are important now as West Bengal and the country are facing an attack on democracy. 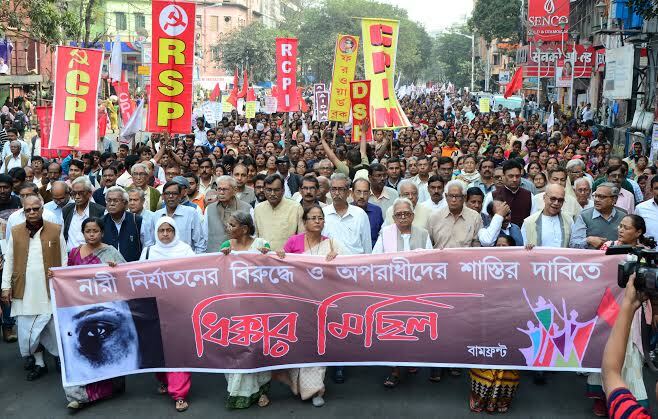 Elucidating the contribution of Jyoti Basu to parliamentary democracy, CPI(M) Polit Bureau member Buddhadeb Bhattacharjee said, Jyoti Basu had brought the struggle of peasants and working classes to the centre of politics in West Bengal. “He brought the issues of peasants and the workers to the fore in parliamentary democracy. 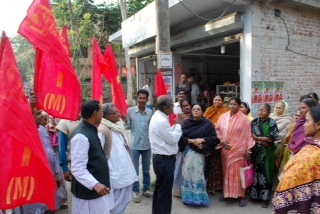 Its origins lay in the workers movement which was followed by strikes and protest in factories. These protests turned into a phenomenon which engulfed the entire industrial sector and workers were successful is ascertaining their rights,” Bhattachrarjee said. When the Left Front assumed office, unlike any other Chief Minister, he made it clear that the government will have to stand for the rights of farmers and agricultural workers. 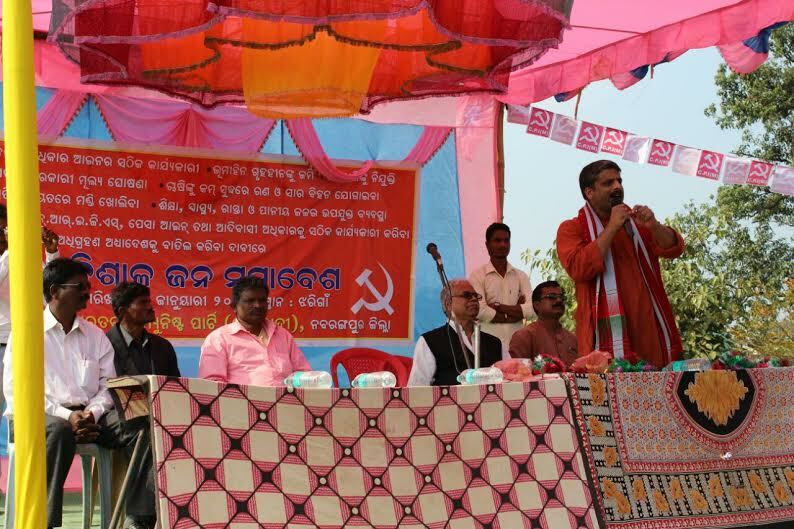 “The fight for land went ahead with giving pattas (land rights) to the farmers and then identifying the rights of share croppers,” Bhattacharjee said. Bhattacharjee reflected on how Mr. Basu ensured that the State remained insulated from the communal strife in 1984 after the murder of Indira Gandhi and 1992 after demolition of Babri Masjid. “He was secular to the core of his heart. 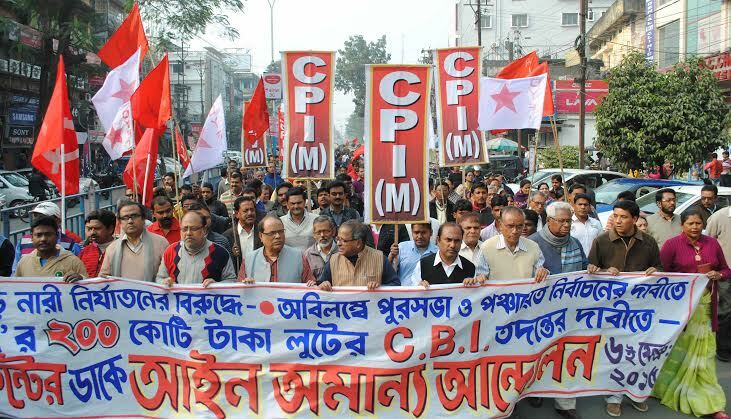 He knew that Communist movement and secularism has to go hand in hand,” Bhattacharjee said. “Jyoti Babu has an unwavering faith in democracy.. Despite himself being arrested a number of times for false charges when the Left Front government came to power in 1977 all political prisoners across political lines were freed. It was like a general amnesty,” he said. Referring to present times Bhattacharjee said that it is clear that the politics in the country has taken a “right turn” with the alliance of corporates and Rashtriya Swayamsevak Sangha (RSS) ruling the nation but added that it is imperative for the Left forces to take lessons from Jyoti Basu's life and put up a fight. Noted economist Prabhat Patnaik outlined the features of contemporary Indian politics and said, neo liberal policies have created a situation where growth of industrial production has reached almost negative, rate of inflation has risen to almost ten per cent. Corporate elite have chosen Modi to come out of their own crisis. On the other hand, the rapid growth of unemployment has contributed to growth of lumpen proletariat. The dangerous repercussions of the process is already evident in West Bengal where the attack on women and criminal activities are on rise. This situation can give rise to fascism. Only the Left can counter the threat of fascism through struggle on alternative policy trajectories. Patnaik said, unlike P Sundarya, Jyoti Basu was born in an elite family. But he identified himself with the working people of the country. He was one of the most popular Communist leaders after Castro brothers. 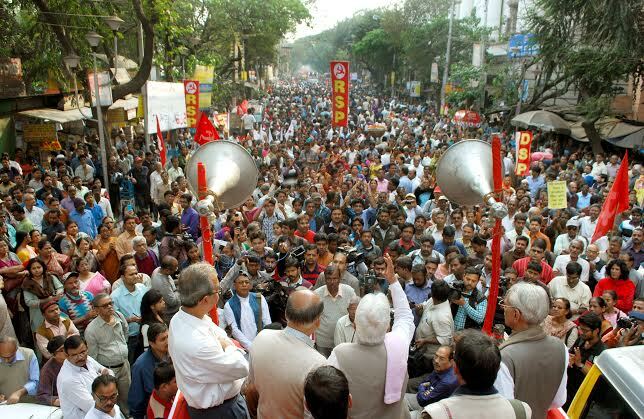 The crisis in Bengal was the backdrop in which the Left movement in Bengal developed and leaders like Jyoti Basu emerged. 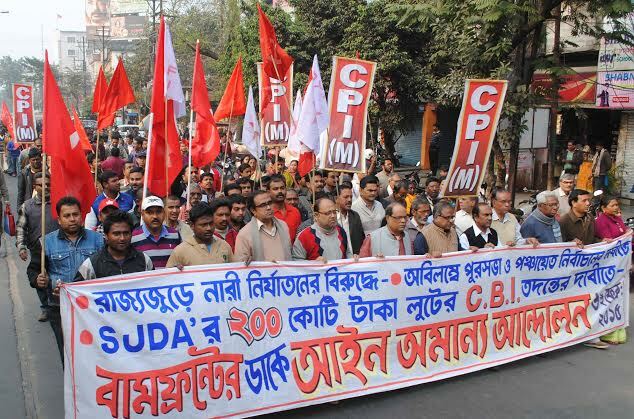 The Left could play its role as real initiator of Bengal renaissance. 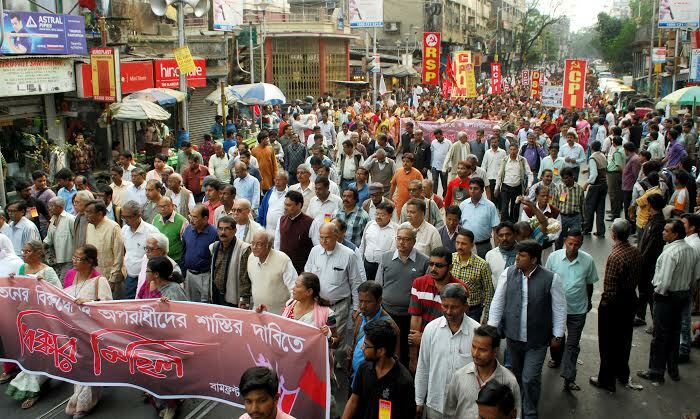 Veteran CPI(M) leader Hasim Abdul Halim, CPI leader Manjukumar Majumdar, RSP leader Khisti Goswami, intellectual Azizul Haque emphasized the need of Left unity in this hour of difficult struggle.